Fox Sports reporter Erin Andrews tweeted those words in January in a post thanking the public for their support after revealing she had cervical cancer in an interview with MMQB.com. Andrews’ decision to open up about her diagnosis brought attention to a women’s cancer that, like all, can be deadly. The American Cancer Society reports more than 12,000 people will be diagnosed with invasive cervical cancer this year. More than 4,000 women will die from it. However, cervical cancer is preventable. Dr. Singhal, a Bay Shore resident, offered ways women can protect themselves against cervical cancer. “Any woman who is sexually active is at risk for developing cervix cancer,” said Dr. Singhal. 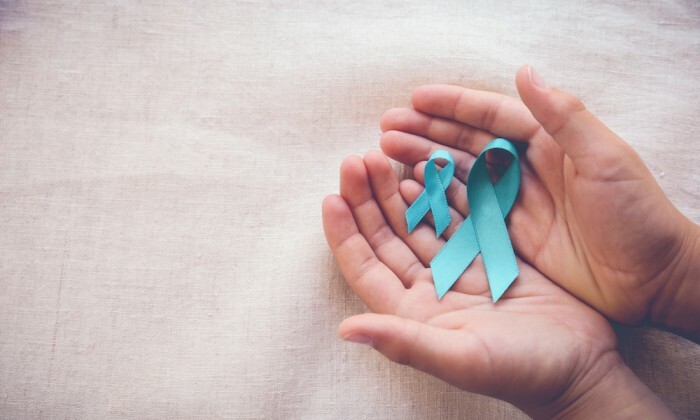 Cervical cancer is primarily caused by Human Papillomavirus (HPV), a common sexually transmitted infection affecting nearly 80 million Americans, according to the Centers for Disease Control and Prevention. There are more than 100 HPV strains; some can lead to cancer while others can cause treatable genital warts. The risk is increased, he said, for patients who have had multiple sexual partners (generally six or more), don’t use contraception, have a history of sexual transmitted diseases or a suppressed immune system. Additionally, those of lower socioeconomic status are at a much higher risk because of less access to screening. A study released by the journal Cancer in January also revealed alarming mortality rates for black women in the United States—10.1 per 100,000. Researchers said this is comparable to women in poor developing countries in Latin America, Asia and Africa. White women had a lower mortality rate of 4.7 per 100,000. Dr. Singhal stands behind the HPV vaccination saying it’s effective in preventing the various strains. The vaccination is recommended up to 26 years old. One’s immune system also plays a big role in this disease, Dr. Singhal said. That’s why he stressed the need for smokers to quit. “They have much higher risk of persistent cervical dysplasia—that is pre-cancer cells.” Smoking, he said, also makes it harder to cure cervical cancer. “Every single cervix cancer patient I’ve seen on Long Island… they have not had Pap smears for years,” Dr. Singhal said. A Pap smear (also referred to as a Pap test) performed in a physician’s office is the best way to screen for abnormalities in the cervix. It isn’t recommended for women under 21 since cervical cancer is uncommon in that age group. Those patients also generally have a “robust immune system” allowing the body to clear any Pap smear abnormalities on its own. Women 21-29 are encouraged to get a Pap smear once every three years while those 30-65 should get one every five years, according to the American Cancer Society. Getting a Pap test above the age 65 depends on the patient’s history.